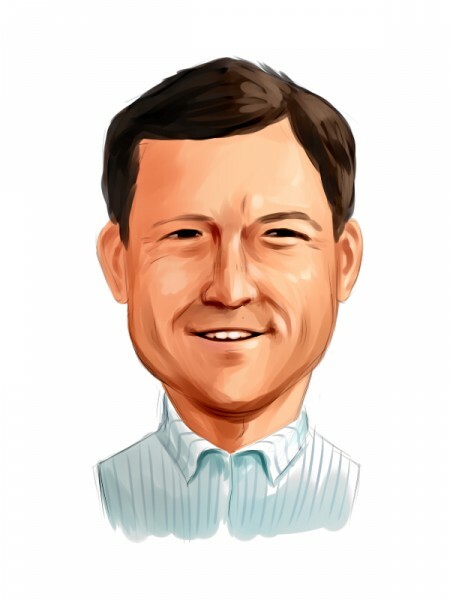 Were Hedge Funds Right About Flocking Into Waste Management, Inc. (NYSE:WM)? Is Waste Management, Inc. (NYSE:WM) the right pick for your portfolio? Money managers are taking a bullish view. The number of long hedge fund bets moved up by 2 in recent months. 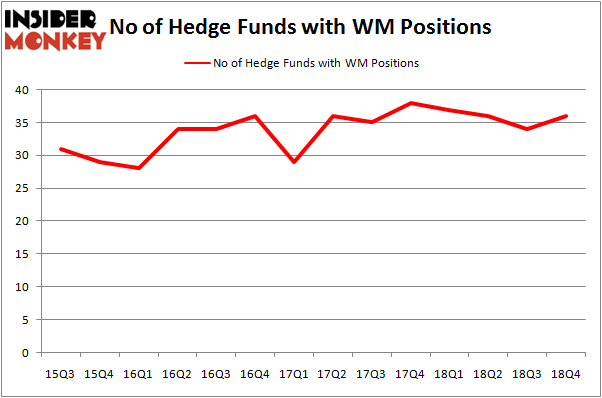 Our calculations also showed that WM isn’t among the 30 most popular stocks among hedge funds. Let’s analyze the new hedge fund action surrounding Waste Management, Inc. (NYSE:WM). How have hedgies been trading Waste Management, Inc. (NYSE:WM)? At the end of the fourth quarter, a total of 36 of the hedge funds tracked by Insider Monkey were long this stock, a change of 6% from one quarter earlier. By comparison, 37 hedge funds held shares or bullish call options in WM a year ago. So, let’s check out which hedge funds were among the top holders of the stock and which hedge funds were making big moves. Among these funds, Bill & Melinda Gates Foundation Trust held the most valuable stake in Waste Management, Inc. (NYSE:WM), which was worth $1658.2 million at the end of the third quarter. On the second spot was AQR Capital Management which amassed $431.2 million worth of shares. Moreover, Adage Capital Management, Two Sigma Advisors, and Impax Asset Management were also bullish on Waste Management, Inc. (NYSE:WM), allocating a large percentage of their portfolios to this stock. Now, some big names have jumped into Waste Management, Inc. (NYSE:WM) headfirst. Chiron Investment Management, managed by Ryan Caldwell, assembled the biggest position in Waste Management, Inc. (NYSE:WM). Chiron Investment Management had $22.4 million invested in the company at the end of the quarter. James Dondero’s Highland Capital Management also made a $8.2 million investment in the stock during the quarter. The other funds with new positions in the stock are Jeffrey Talpins’s Element Capital Management, John Brandmeyer’s Cognios Capital, and Minhua Zhang’s Weld Capital Management. Let’s go over hedge fund activity in other stocks – not necessarily in the same industry as Waste Management, Inc. (NYSE:WM) but similarly valued. These stocks are Emerson Electric Co. (NYSE:EMR), Marriott International Inc (NASDAQ:MAR), Prologis Inc (NYSE:PLD), and American Electric Power Company, Inc. (NYSE:AEP). All of these stocks’ market caps are closest to WM’s market cap. As you can see these stocks had an average of 32.5 hedge funds with bullish positions and the average amount invested in these stocks was $1071 million. That figure was $3118 million in WM’s case. Emerson Electric Co. (NYSE:EMR) is the most popular stock in this table. On the other hand Prologis Inc (NYSE:PLD) is the least popular one with only 30 bullish hedge fund positions. Compared to these stocks Waste Management, Inc. (NYSE:WM) is more popular among hedge funds. Clearly hedge funds like the stock compared to similarly valued stocks. Our calculations showed that top 15 most popular stocks among hedge funds returned 19.7% through March 15th and outperformed the S&P 500 ETF (SPY) by 6.6 percentage points. Hedge funds were also right about betting on WM, though not to the same extent, as the stock returned 14% and outperformed the market as well. Is Illinois Tool Works Inc. (ITW) A Good Stock To Buy? Is Vertex Pharmaceuticals Incorporated (VRTX) A Good Stock To Buy? Were Hedge Funds Right About Selling Northrop Grumman Corporation (NOC)? Were Hedge Funds Right About Ecolab Inc. (ECL)? Were Hedge Funds Right About Dumping FedEx Corporation (FDX)? Were Hedge Funds Right About Getting Into Bank of Montreal (BMO)?